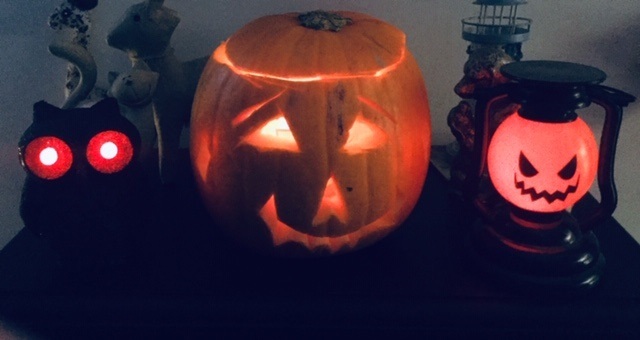 Autumn is here...It's Halloween soon!! Autumn is one of the best times of the year with Halloween, and Bonfire night. Where I live there is Hull Fair, so that’s another big event! I love Autumn, but I have osteoarthritis, so the cold makes my joints ache and creak. Alongside all the wonderful fall events, the temperature starts to drop, and it can be hard to stay warm. Staying warm is so important that it is a key point in my article 'four ways to manage pain.' 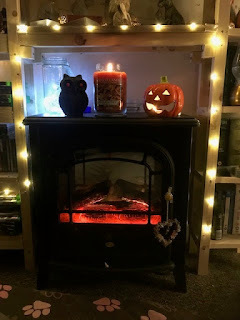 So here is five ways you can keep toasty this Autumn and Winter Time! If you are at work behind a desk, make sure you keep your feet moving. Whilst sitting at your chair you could do leg lifts or tap your feet to get the blood moving in your feet. An even better exercise to do is walk to get a drink, or walk to the toilet, basically make an excuse to get up from your desk and get the blood circulating! If you are at home, you can go out for a walk and see the beautiful colours Autumn has to offer. If you can’t get out the house, walk around the house. I know that if you are ill it can sometimes be hard to move, but sometimes, the best thing to do is get up and get a little exercise. Get up off the sofa and make a drink, or go for a wander in the garden. Personally I love getting out with Scarlett and taking her for a walk. Stretches are good to do, gently increasing cardiovascular output and getting warm blood out to those cold extremities. I have been ill this week with an upper respiratory infection and I couldn’t move far, but I made sure to get up move a little. Okay, it was mainly to go for a wee or play with my adorable dog, but it is still moving, right?! At this time of year you need to keep warm in your woolly jumpers, jeans, thick socks, and proper shoes. I have tons of woolly jumpers and cardigans to keep warm. I love an excuse to have woolly jumpers or cardigans! Thick socks are a must have. Plus we can’t forget a woolly hat. Don’t forget a lot of heat escapes from your head, so if you are out and about it’s good to wear a woolly hat, gloves and scarf! I am sat here writing this and I know my Mum would suggest wearing long-johns. Both Gaz and I have a pair and wow they are warm. Whilst I have been ill I have been layered up in pyjamas. I have pyjama bottoms, then fleece pyjama bottoms over the top. On my top half I have a T-shirt and a thick hoodie on. You can get some really cute hoodies. My hoodie is a Rabbit! Haha! They are so warm,and they are great to wear until you go to bed. Don’t forget you need a pair of thick woolly socks! My birthday is during Autumn, and I always ask for woolly socks for my birthday! 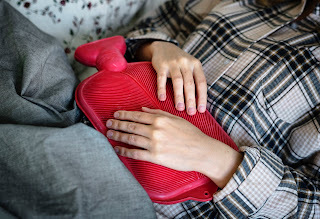 OMG, during Autumn onwards, with my Osteoarthritis, I can’t survive without my Hot Water Bottle. They are brilliant for pain. 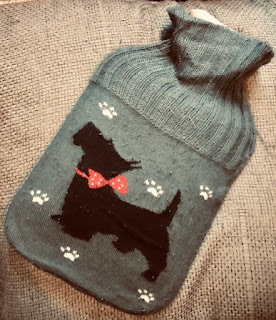 I use my Hot Water bottle on all my joints and back. When I am on the car it comes with me and sits in the small of my back. What can you use though if you are on the go? Well if you are in pain, or your back feels uncomfortable you can get heat patches, that last up to 8 hours. I particularly like these Deep Heat ones, as they stick well and stay warm! I know workplaces have Health and Safety rules, so Hot Water Bottles are not practical, but the heat patches you can wear on your body either on the inside of your shirt or on your skin. Always check the instructions! Either of these will help keep you toasty! Cute Scotty Dog! I love this Hot Water Bottle! Wow I love my hot drinks, and usually I would list hot chocolate! Always have a hot chocolate! That and Costa's range of autumn seasonal drinks, which I talk about more here. What I have really got into this Autumn is fruit tea! Wow I love my fruit teas. Tesco do a good range of fruit teas at very reasonable prices. fruit teas smell beautiful and are really good for your body. They help cleanse your body and are generally caffeine free and the massive bonus is they taste delicious. You can cuddle up at home watching Netflix or sit behind your desk at work or have a lovely hot drink on your desk and it will help warm you up inside! 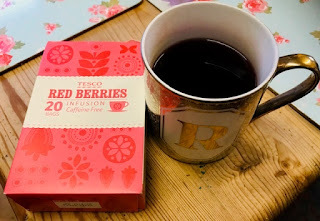 Tesco Red berries Fruit Tea is delicious! I'm developing a habit here! Heating is a massive thing to have at work and home. When you are at home make sure to have the heating or fire on. There is nothing worse than sitting in a cold house or office. You may think you are being economical, but if you are not at a good temperature, you are less productive and are more likely to get ill as your body is spending more energy staying warm and less on useful things. I love having the heating on but I also love my little electric fire, which was originally my Nan's, because it heats up my bedroom so quick! Heating is a massive thing to have, but it’s also expensive, so if you can’t afford to have the heating on, make sure to have plenty of fluffy blankets, and thick duvets to keep warm! This uses a Fan heater to warm me up! So, dear readers, remember to keep yourselves nice and toasty as the weather gets colder. 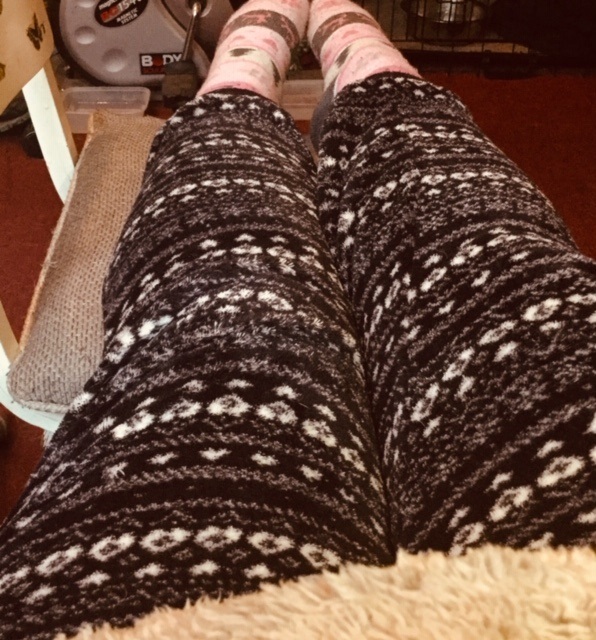 snuggle up in your blankets with your hot beverage of choice, buy yourselves some cute and warm new pyjamas and get the heating and TV on! Let me know how you guys like to keep warm in the comments! I sometimes use affiliate links in my posts. These are links to products I use and enjoy, and if you purchase via these links I receive a small commission at no extra cost to you. This post makes me feel so cosy! 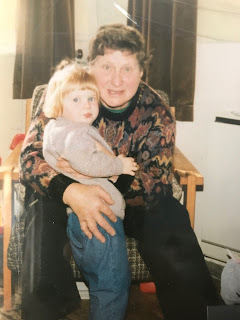 This is such a lovely post! When I was at uni we were on meters for gas and electricity and our house/ my bedroom (in the basement) was always so cold so I had to try and figure out how to stay warm. The best thing I found was having fairy lights, candles, blankets, duvets and dressing gowns! It's safe to say that year I grew a collection of cosies from my family for Christmas which I use all the time now!